Please note that I have seen every episode of Lassie as listed in this guide. Therefore, although the titles and dates of these episodes have been gleaned from other sources (as cited on the contents page to this episode guide), any description and comments are mine. On a surveying mission of the forest, Scott and Bob are delighted to find wolves restablishing themselves in the area. Then the male is shot while hunting for his pregnant mate and the rangers must save himand change the hunter's mind about wolves. Lassie helps by giving some of their supplies to the female to eat, and then by restoring the male's will to live. Jim McKay: Ron Hayes.  Note: This is one of the few episodes after "The Holocaust" that Bob and Scott are in together. Lassie, spending an afternoon with Mr. Hilliard and his pet chimpanzee, who must move from their home to make way for an acqueduct, must save Patsy when she runs in fear directly onto the construction site. Hilliard: William Bramley. Munson: John Harmon. During a surveying trip at a former bomb site sleighted to become a national grassland and hunting area, Scott must carefully disarm an unexploded bomb that is next to the nephew of one of the area's town council members, a young man who has been helping him with his surveying, while Lassie shuttles supplies to him with the help of a highway patrolman. Jeff Treat: Richard Evans. Chuck: Ross Elliott. Sheriff: Roy Engel.  Trivia: Scott will be meeting with officials in Hunter about forming a new recreational area on the former bomb site. Widowed Sarah Caldwell will have to give up the family ranch if she can't keep water on the property, so Scott helps her install "water bottles," large vinyl storage "tanks." But a thirsty fawn gets himself trapped on top of the slippery containers. Lassie tries to help him herself by draining the stock tank using the float that controls the system, but must finally race to get Scott. Sarah: Barbara Hale.  Note: Hale was a regular on another CBS mainstay, Perry Mason, and her husband Bill Williams had already appeared on Lassie. As they take an elk survey, Scott and Lassie's helicopter ride turns deadly when the vehicle has mechnical problems and crashes in the snowy wilderness. Pilot Bert is badly injured and Scott has hurt his leg. Unfortunately their communication system is beyond hope; they must rely on their survival gear and wait for rescue when Scott negates Lassie going for help: there are too many dangers in her path. But next morning Lassie sets out on her own while Bob joins the search via snowmobile. Mark: Skip Homeier. Bert: Mark Roberts. Pilot: David Westberg.  Trivia: Bert has been flying since World War II. While repairing a water tower on Government rangeland, Scott is hurt by a careless rifle shot fired by young Tom Bradley, the son of a local rancher who has taken to playing hookey from school and taking refuge in a little tent in the woods after his mother's death. Later, when John Bradley heads out to do an errand, he is thrown from his horse by the charge from a live electrical wire broken by another shot of Tom's gone wrong. Tom: Teddy Eccles. John Bradley: Russell Johnson. Edward Trask: William Keene. Ranger: Patrick Waltz.  Trivia: Takes place in the Oak Meadow National Forest.  Note: Although throughout this season "Hey Hey" has been in the role of Lassie, this episode features "Mire" except in a couple of closeups. Perhaps it was filmed for the previous season? Tom is showing caring for a baby raccoon in his lean-to; in the film My Side of the Mountain, Eccles played Sam Gribley, a boy with a pet raccoon. Neeka, spending his vacation with Scott and Bob, is delighted to help the rangers out at the Roaring Camp spur line, a railroad that will run directly through the majestic redwood forest. There he witnesses the birth of three bantam chicks, including a persistent little one (Neeka names him Fairbanks) who sees the small opening of the coop gate as a big opportunityuntil he's nearly run down by horses, hissed at by an opossum, and then gets trapped on the railroad tracks. Dan Harlan: James Westerfield. Neeka: Mark Miranda.  Trivia: Neeka gives all the chicks names of Alaskan cities (the two grey chicks are Juneau and Ketchikan). The train is labeled "Roaring Camp and Big Trees" and the engine's name is Dixiana.  Note: This is one of the few episodes after "The Holocaust" that Bob and Scott are in together. It contains a lovely scene where Dan shows the visitors a beautiful redwood grove and Neeka says reverently, "It's almost like being in church." Yep, it's God's and He built it all Himself. Filmed at Roaring Camp Railroad, Felton, California, originally "a goldmining settlement on the Mokelumne River in Amador County, California. It was home to forty-niners seeking gold in and around the river; it is now a privately owned tourist attraction." Bret Harte wrote a story about the forty-niners mining gold in this area in the short story "The Luck of Roaring Camp." Scott has gone back East to testify in an arson trial, but Bob has the weekend off, so he takes Neeka fishing on the Columbia River. While hiking as Bob finishes up some paperwork, Lassie and Neeka discover a crow building her nest in a rotted tree over the river. Lassie is successful in saving the bird when her leg is entangled in the twine she's using for her nest, but the rotted tree falls and twists sending Lassie sweeping down the icy cold river. By the time Neeka can get her out, she is in shock from cold and stress. Bob and Neeka spend a long night nursing her by the fire. Neeka: Mark Miranda.  Note: Neeka asks Bob if the ranger knows how much he loves Lassie and if Bob minds if he thinks of Lassie a little bit as his own. 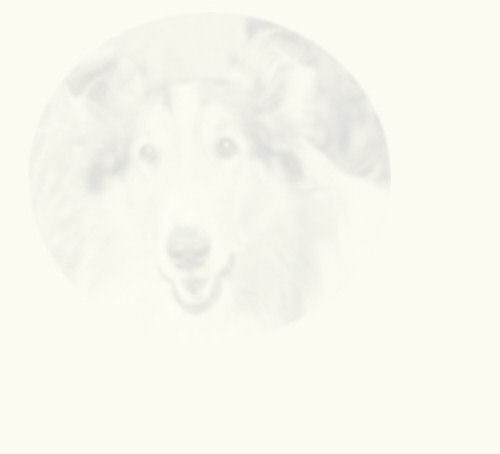 A pity seventeenth season was not reworked to have Lassie in Alaska with Neeka! On a nature hike on a Braille-guided trail, Scott and Lassie help Kathy, a withdrawn and fearful girl who is attending public school with other blind children for the first time. While the other childre complete the hike, Scott and Lassie show her that nature is not frightening and that she can be self-sufficient even though she cannot see. Kathy: Kathy Martinez. Greg: Alex Valdez. Steve: Bert Borja. Nancy, Sandra and Sherry are played by Debbie Parker, Regina Brink, and Sheila Killian, but there is no way to distinguish which actress played which girl.  Note: This episode, which featured the Whispering Pines Braille woodland trail in the San Bernardino National Forest of California, one of only three existing at the time, was profiled in a TV Guide article. 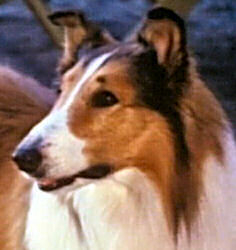 "Mire" again plays Lassie in this episode. Walk softly, through the woodlands. The whisper of the wind. Hear it? The fragrance of the air. Breathe it. The crisp cool water. Taste it. Touch the beauty of the moment. Feel it. There’s more to life than meets the eye. Some with sight are often blind. Close your eyes, and listen with your mind. Rustling leaves of nature sing. Mossy log and honeyed vine. Schaefer and Freiwald also wrote other song lyrics for the series, probably those for the ballad that accompanied "Lassie the Voyager" and the "Bonnie Lassie" theme used in season 17, and possibly also the "Charlie Banana" song. While Scott and his partner Mark mark snowmobile trails at a ski resort, Lassie befriends a young deer. She must later rescue the poor creature after it is chased to exhaustion by callous snowmobilers, who have also gone off the trails and endangered skiers. Scott is determined that they do not get away with their misdeeds. Mark: Skip Homeier. Dan: Jack Henaghan. Dan's Buddy: Richard Correll. Skier: Richard Elmore.  Note: Takes place at the White Mountain Ranger Station and Snowy Peak Ski Area at the Elk River National Forest. This looks like it should have been paired with "Survival," perhaps before, as Scott asks Bert if the snowmobiliers ever think of having snowshoes with them so they can walk out of the forest after getting stuck. Unfortunately, at this time it was considered necessary for one of the actors in the story to give a little lecture on safety and common sense, which Homeier gets saddled with in this episode. Bob and Lassie befriend Manuel Sandoval, who has crossed the border from Mexico with his deaf dog Poco, hoping that having the Blessing of the Animals at Mission San Luis Rey will restore the little terrier's hearing in time for Christmas. Father Matthew performs the ceremony, but when Poco does not regain his hearing, a disillusioned Manuel flees the mission and then later runs into the ocean to escape a pursuing Bob and Lassie. The latter saves Poco from drowning. Manuel: Tony Davis. Father Matthew: Med Flory.  Trivia: Manuel has promised his little sister Teresa that a miracle will restore Poco's hearing.  Note: This episode was directed by Bonita Granville Wrather. Bob finds out Manuel comes from Escondera, which means he traveled 129 miles for Poco. A very atypical Lassie Christmas episode: you know it is Christmastime for most of the episode only by the Nativity set outside the mission doors. It is only at the end that everyone wishes each other a Merry Christmas and "O Come All Ye Faithful" is played in the background. Scott and Lassie survey the Superstition Mountains, the supposed location of the fabled Old Dutchman's gold mine, guarded, the Apache tribe says, by their thunder god, for a reforestation project to restore stripmined areas. After his pilot Arvin starts a search for an elderly prospector looking for the Dutchman, they find old Hobart suffering from appendicitis. Lassie is left to guard Hobart's burro Emily until Scott can return for her, but Emily, in distress over her master's departure, sets out after him with Lassie in pursuit. Arvin: Clyde Howdy. Gwen: Karen Norris. Hobart Woodley: Chick Chandler.  Note: Clyde Howdy played Hank Whitfield on the season 11 and season 12 episodes with Corey Stuart. This was aired after he passed away in October of 1969. Scott and Lassie, in San Francisco's Chinatown for a mini-forest project, befriend the children in a Chinese school. 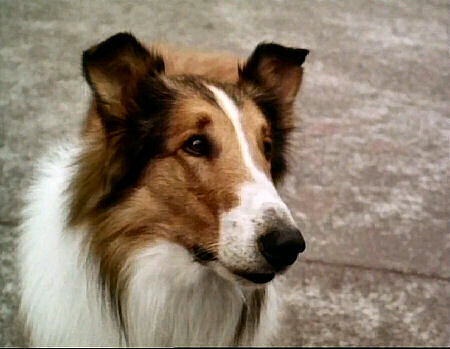 When Lassie is struck by a car while saving one of the children, she appears to have amnesia. So when a fire breaks out at the vet's office where she's staying, she escapes to the streets with no idea where she belongs. Elizabeth Chan: Andrea Tong. Kim: Lisa Lu. Veterinarian: John Zaremba.  Note: Some nice views of San Francisco Bay in this first episode. The next morning, Lassie's search for her identity takes her to a wax museum at Fisherman's Wharf and finally down to the waterfront, where she is befriended by a down-on-his-luck young fisherman with a family and a boat loan he can't pay immediately to his creditor, Tony. Gil: Sammy Jackson.  Note: More San Francisco: the Fisherman's Wharf Wax Museum and surrounding area, plus the docks at Sausalito across the bay. 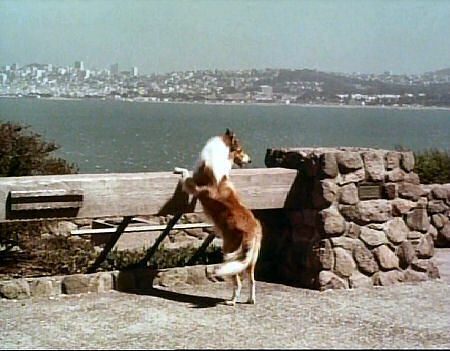 While heading back to San Francisco via the Golden Gate Bridge, Lassie befriends Sue, a lonely runaway teenage girl. Next day, a weary Scott continues to work at the school while Lassie brings together her new friend and a lonely soldier. On her own again, she is mistaken for a possibly rabid collie named Tawny. Elizabeth Chan: Andrea Tong. Kim: Lisa Lu. Danny: Rob Hughes. 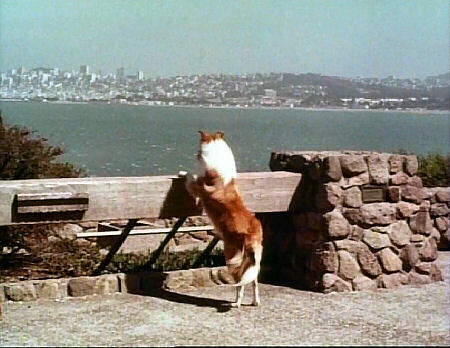  Note: More lovely San Francisco scenery in this episode, as Lassie climbs Coit Tower. Hughes would turn up the following season in two episodes as Mark Saunders. Her memory recovering, and hunted by health officials and police as a rabid dog, Lassie is chased through San Francisco streets, including down flower-lined brick-paved Lombard Street, "the crookedest street in the world." Meanwhile Bob joins Scott in the search. Elizabeth Chan: Andrea Tong. Kim: Lisa Lu. Radio Dispatcher: Lloyd Nolan.  Note: Also seen, the cable car turntable at Market Streetand Lassie rides a cable car. Okay, so the Department of Health guys find out Lassie is the wrong dog. They just leave her there in the street to be run over, saying it's a job for animal control! Yeesh! They could have at least tried to get her and have her escape and the story could proceed as it did! Something about San Francisco calls to an amnesiac Lassie. Perhaps, her instinct tells her, she should head that way. Bob and Lassie are at Lake Powell, AZ, to help with plans for the Wahweap marina. While out with their guide Sam and medical student Dave Loka, they rescue a seagull who's been attacked by a hawk. Dave patches the gull up, and when it is well, it has a chance to return the favor when Dave and Lassie are stranded after his small motor boat sinks. Sam: Michael Forest. Dave Loka: Paul Petersen. Seagull handled by Ray Berwick.  Note: Filmed at and around the Wahweap Marine Store in Page, AZ, on Lake Powell. Ray Berwick also trained a number of other animals for the screen, including "Fred," the white cockatoo so popular on the 70s cop series Baretta. Thanks to Flora for a copy of the episode! Neeka and Lassie take a wrong turn on the self-guided trail due to a deliberately turned sign at the Mesa Verde National Forest, and, while trying to find their way back, slip off a cliff where Neeka breaks his leg. As darkness falls, Bob and ranger Gene McClintock desperately search for the pair while Neeka attempts to make a fire and Lassie searches for a way off the mesa. But it is only the next morning when hope arises again. Gene McClintock: Richard Webb. Neeka: Mark Miranda.  Note: The Forest Service is helping to restore and interpret the historic pueblos at Spruce Tree Ruins. With Bob at a lumberman's meeting that evening, Lassie visits overnight with the Frasers, a blind man and his wife who live in a woods cottage without any way of communicating with the outside world. When Edie Fraser is injured during an after-dinner walk, Clint and his guide dog Ginger start for help, but Lassie must save them from a cougar's attack and go herself. Clint Fraser: Ford Rainey. Edie Fraser: Ann Doran. Ed: Bing Russell. While Bob and Dan are scouting out the rapids for a "whitewater trail" for tourists, Lassie finds a baby raccoon that has been poisoned by "pink snow"the same material she has already eaten. The only way to get her helpa trip down the worst of the rapids. Dan: Buck Young.  Note: The episode never explains what "pink snow" is: it's a poisonous red algae. Bob and his Navajo guide Sam find and rescue a dog swimming across Lake Powell on their way to survey tribal lands; he is Chucka, an indolent dog who'd rather rest or play than tend sheep. But Chucka must "grow up" quickly after his shepherd owner, Charlie Ngani, is injured and Lassie must go for help. Sam: Michael Forest.  Note: Lassie filmed against the splendor of Monument Valley. What more scenery could you want? Chucka is played either by Spike, who would have been at least 12 by the time this was filmed, or perhaps his son. This was evidently supposed to air before or after "Winged Rescue," but the episodes were sadly shown out of order this season.